At some point during the job, an individual might feel the need to change the department. 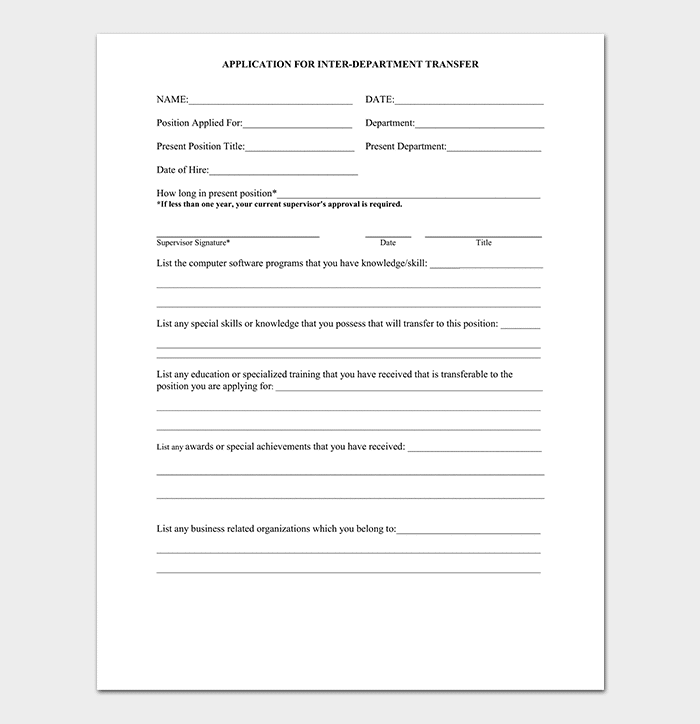 They can write a department change request letter to the company so that, there could be a suitable decision based on the applicant’s qualification and level of expertise. 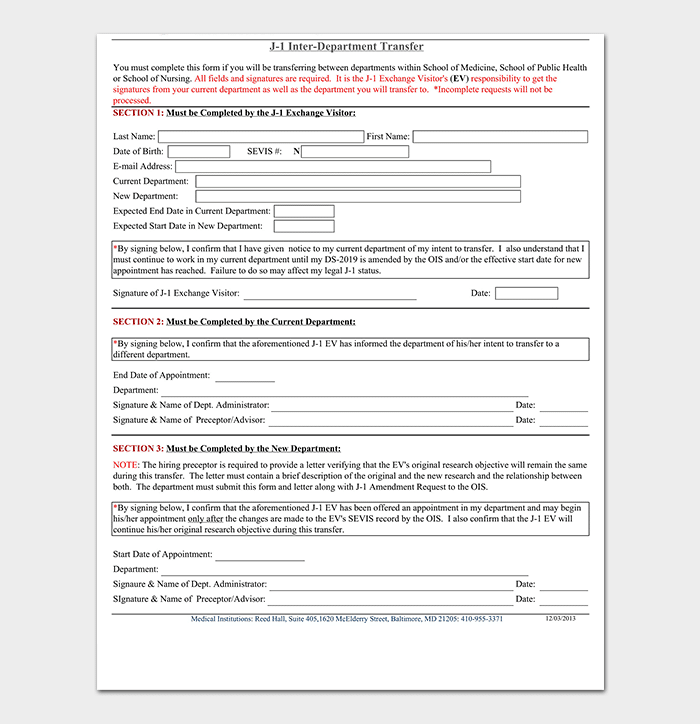 It might be tough for some people to write this letter and thus, using the Department change request letter as a guide can make things simple, clearer, and easier to understand. 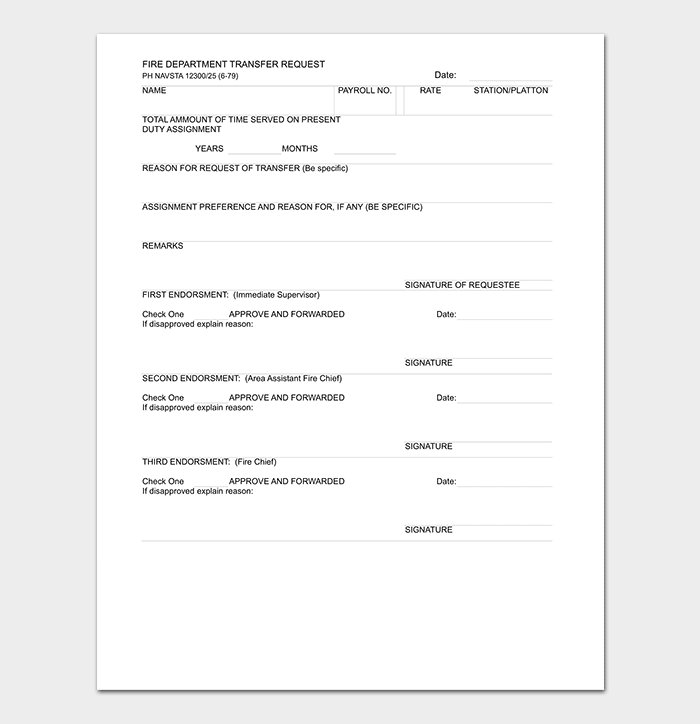 When writing the department change request letter, it is important to keep in mind that it is wise to follow a certain format. With due respect, I would like to bring to your attention that I am working as a contributing writer for the magazine for the past eight months. I have completed my education and now I have a diploma in marketing. I saw the job post for a marketing coordinator and I would like to apply for this position. I have been a valuable asset for the magazine and there is an increase in readership since I have started an online blog for the magazine. I publish a variety of articles, which are shared over the internet. I believe I can be a valuable asset for the company. I would like to take on a new role. I am hoping to hear a positive reply from you. 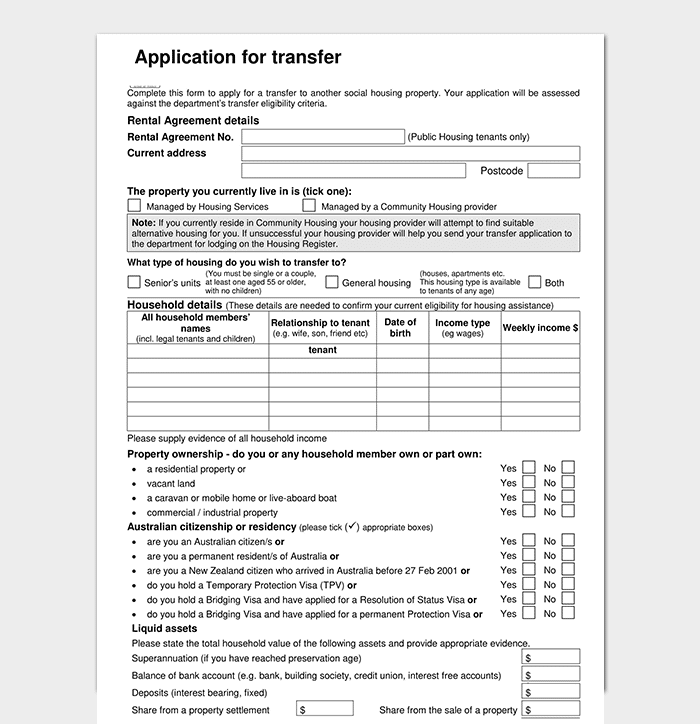 A transfer department application letter as the name suggests would give the user an idea on how to write a letter when asking for a change or transfer of department. Reading a relevant sample, which has an appropriate content would be quite useful in creating the perfect letter. 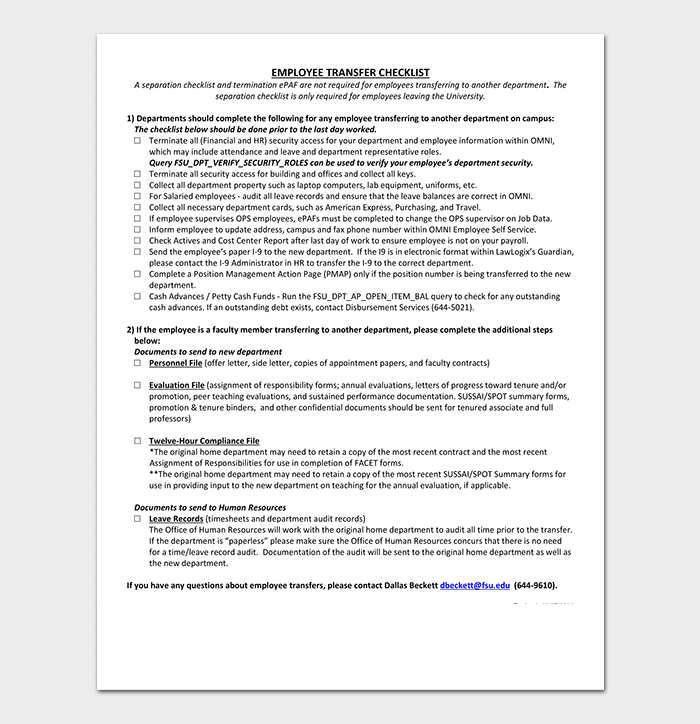 A department transfer thank you letter as the name suggests would serve as an appreciation letter. 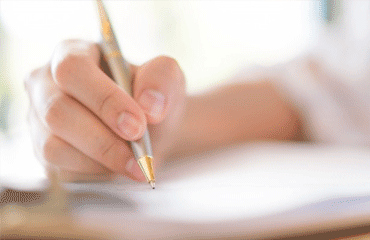 An individual is likely to change department in a company and thus, it would be wise to write department transfer thank you letter to the former employer. 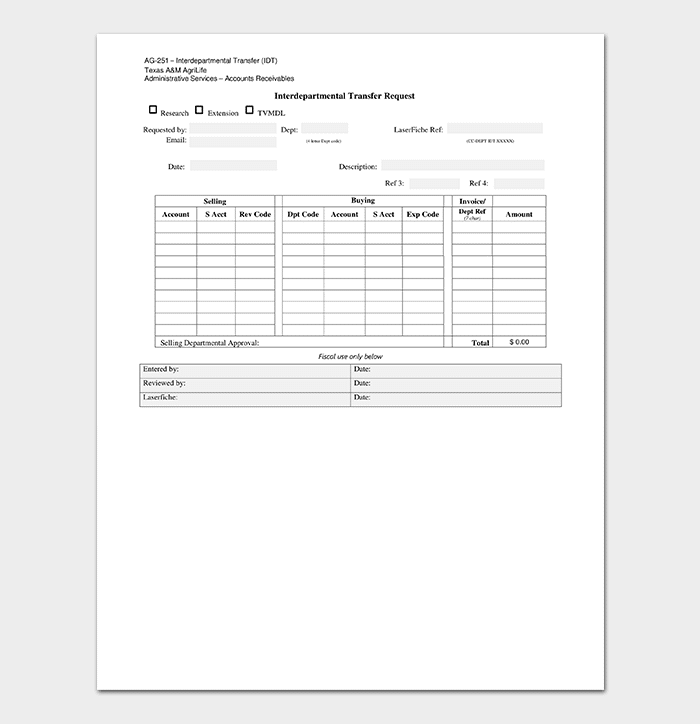 An employee department transfer letter would serve as a sample to write the relevant letter. Employees sometimes want to transfer their department, which could be because of any reason and thus, they would need to write a letter. Focus on Your Qualifications: When writing the letter, it is important that you focus on and emphasize your qualifications. Make the company feel that you are a valuable asset for them rather than making them feels that you are asking a favor. Give a Valid Reason: It is important that you provide a valid reason for the transfer. It is important, to be honest. Avoid Details: It is wise; to be honest but too many details would not be a good idea. Write the letter in a manner that it conveys the information without much detail. Mention Background: It would be a good idea to mention background with the company. You can mention how many years or months you have been serving the company. Make a Solid Case: It would be wise to make a solid case in the letter, which employer could remember. It is important that you get the transfer, which is why it is important to highlight your qualifications. 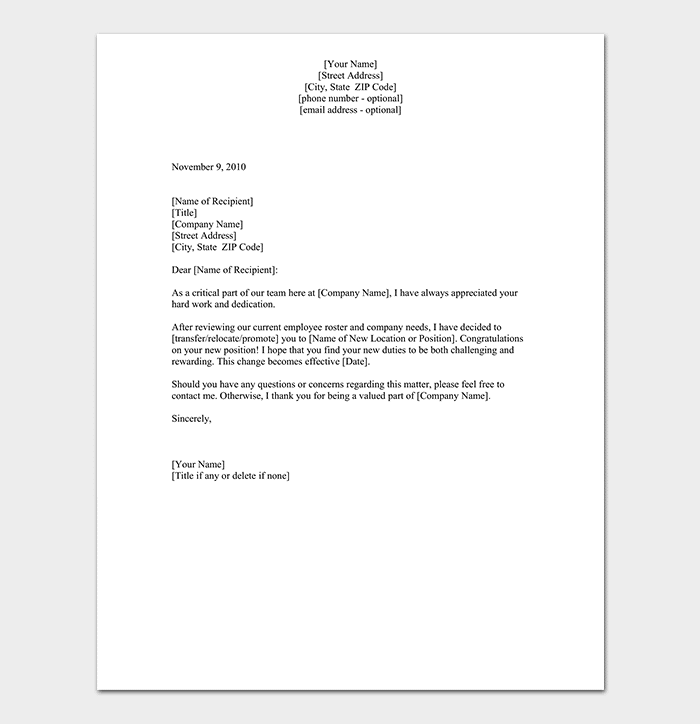 Follow Appropriate Format: It is important to follow an appropriate format for writing this letter. Read samples to get an idea of the kind of content, which would be suitable. Proofread: Make sure there is no grammar and spellings mistake. Ask someone to proofread the letter to you if you are comfortable sharing the details.